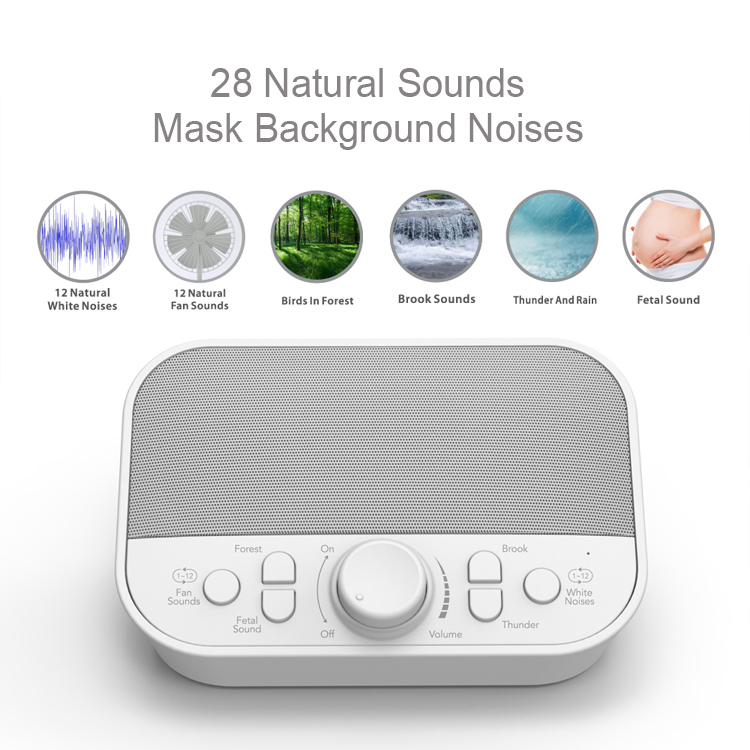 6 Different Mode with 28 different natural sounds: Choose from 6 digitally recorded relaxing sounds: White Noise, Thunder, Brook, Fans, Fetal and Forest. 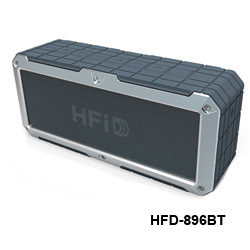 The sounds are designed to mimic the natural environment to provide the most relaxing experience possible. 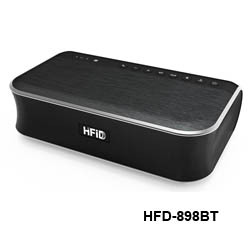 Compact & Portable For Travel: Don’t worry about not sleeping while you travel, This Sleep Sound Machine is small and lightweight. 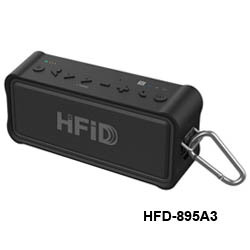 It easily fits into your purse, bag or suitcase making it easy to bring your sleep sounds with you wherever you go! Helps Your Baby Sleep: Add the rhythmic noises to your baby’s sleep routine to help them fall asleep faster and stay asleep longer. The nature sounds will help lull your baby to sleep whether it’s nap time or night time. A sleeping baby means more sleep for the whole family! 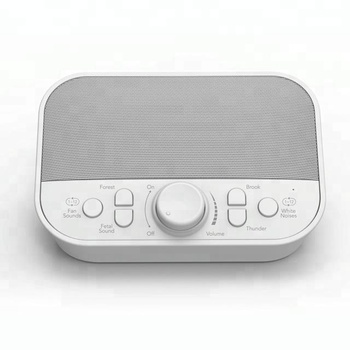 Auto-Off Timer: The Sound Machine’s therapeutic sounds can be used for relaxation, sleep, work, travel, study or meditation. 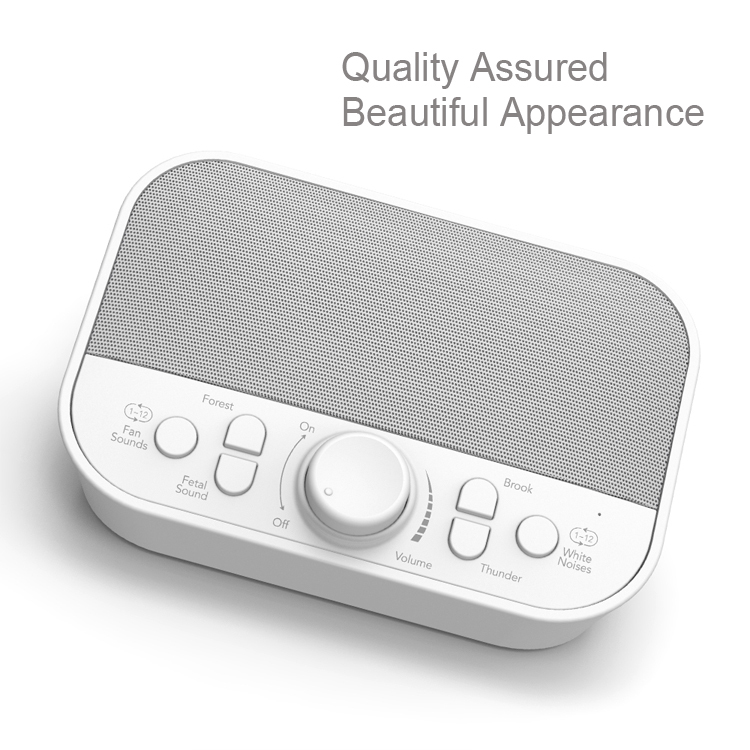 You can choose to play the relaxation sounds continuously, or choose from the auto-off timer. 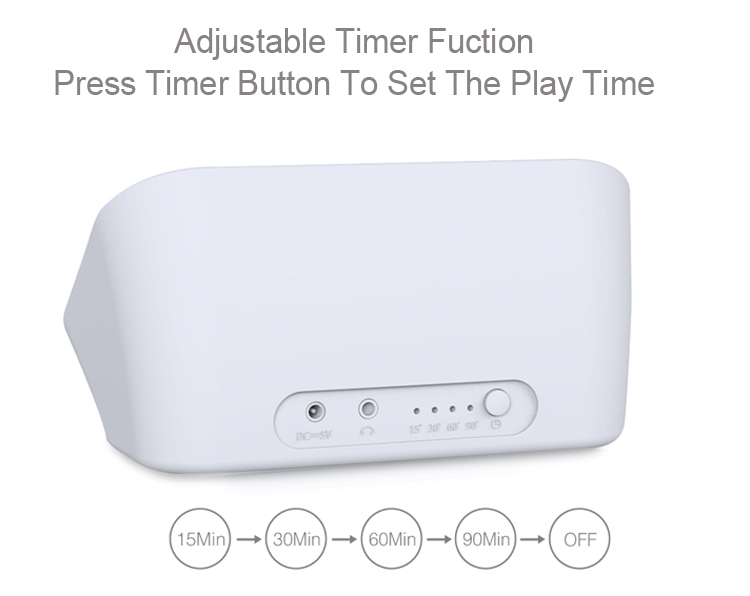 The timer features 3 options: 15, 30,60 or 90 minutes. 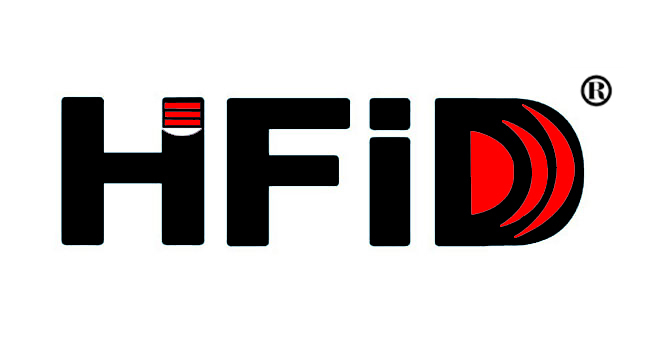 It can be charged by USB or Adaptor. 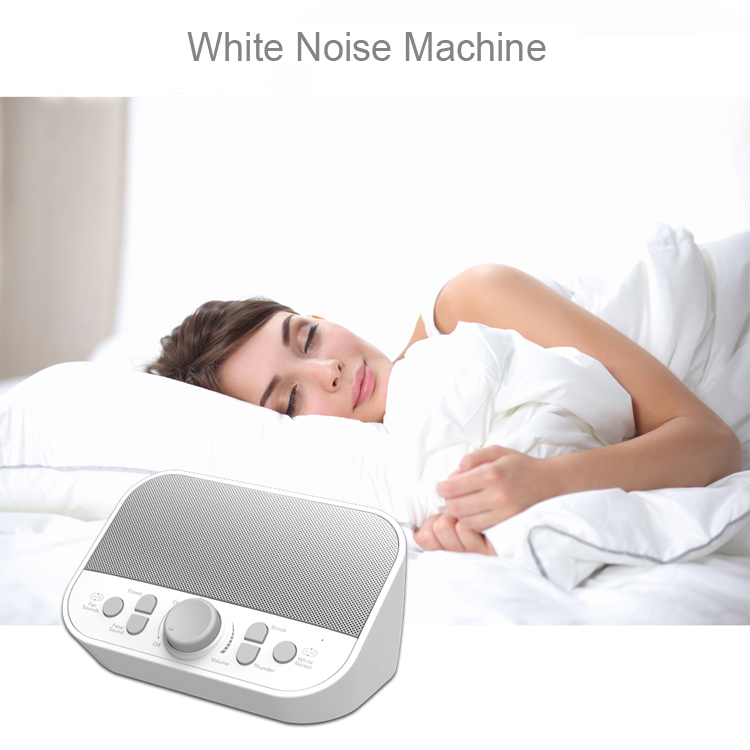 What you can get for White Noise Sleeping Machine?